Earlier this year, Hilton announced it was going to be overhauling its loyalty program, including changing its name from Hilton HHonors to Hilton Honors. Then, on March 1, the program launched the largest of changes — its new Points & Money option for award redemptions — giving you the flexibility to book stays using a variable number of points and an equivalent value in cash. 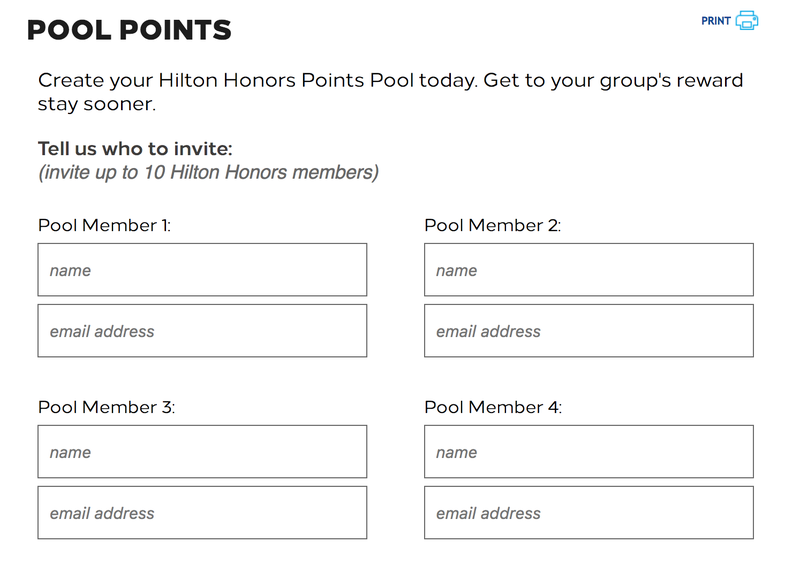 Now, Hilton Honors is giving members access to the next program addition: Points Pooling. Points Pooling does just as it sounds — it allows up to 11 Honors members (you + 10 others) to pool your points together. Unlike in versions past or those with other hotel loyalty programs, you can pool your points with any 10 people, and it’s not limited to family members who share the same address. There’s a cap on the pooling, though it’s pretty high. Pooled Honors members can share up to 500,000 points per year and have up to two million points shared with them. Best of all, the pooling if free — there’s no additional fee for adding members to your pool or sharing points. In addition, there’s no limit to how many different pools you can join. To create your pool, go to the Hilton website and add your friends or family members to your pool. Do so by inputting their name and email address. Once entered, both you and the potential pooler will receive an email. Once the pooler confirms that they want to be part of your pool, your accounts will be linked and you’ll be able to seamlessly share points. Hilton says Points Pooling was created to make redemptions easier. For example, if you’re planning a trip with a large group of friends, you can pool your Honors points together to make those redemptions easier to attain. And now that the feature has officially launched, it looks like Points Pooling is as described — it’s a seamless way to consolidate points. Keep in mind that once your points are pooled with one or more people, the combined points can be used for any type of award, whether that be a standard room award or non-room award like experiences through Honors auctions. Also remember that once pooled, a member can transfer a minimum of 1,000 points and a maximum of 500,000 points into a pool in a calendar year and can receive up to two million points during the same period. 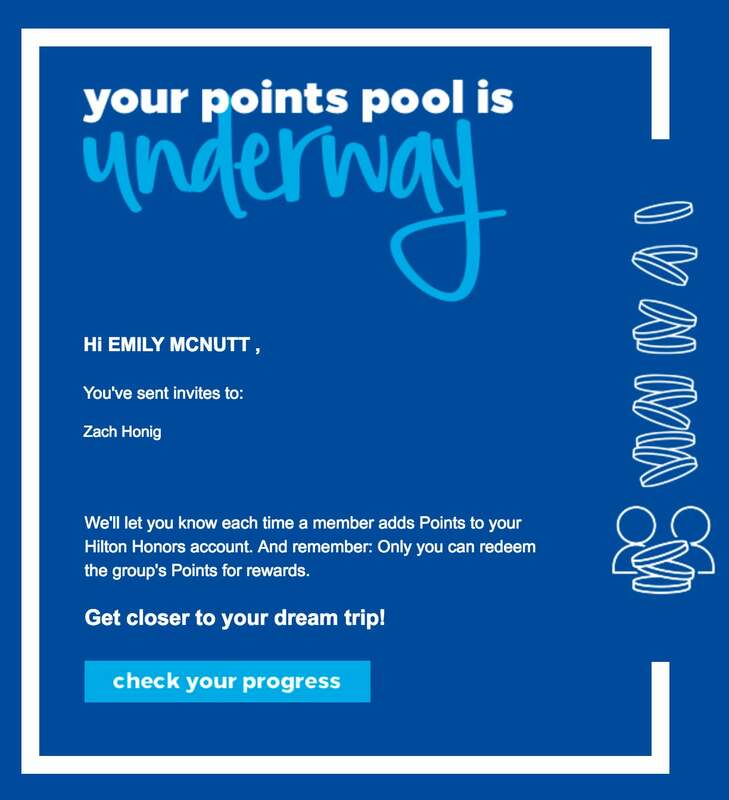 If you’re new to the Hilton Honors program, in order to be a part of a pool, you must be an active member for at least 30 days and have a balance of at least 1,000 points. Overall, this is a very nice addition to the Honors program from Hilton. The ability for members to seamlessly transfer and pool points is a huge step forward for many, bringing more award redemptions within reach. 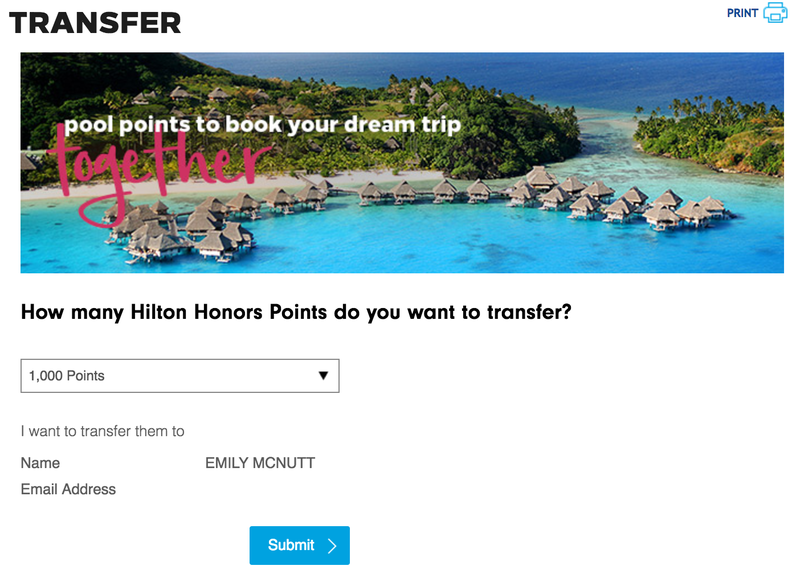 If you’re looking to increase the number of Honors points in your account to pool with friends and family members, consider signing up for the Hilton Honors Surpass Card from American Express. The card comes with a sign-up bonus of 100,000 points after you spend $3,000 in the first three months, however, that offer is for a limited time only and expires on May 31, 2017. With the card, you’ll earn 12x points on Hilton purchases, 6x points at US restaurants, US supermarkets and US gas stations and 3x points on everything else. The card comes with an annual fee of $75 and you’ll get complimentary Honors Gold status as long as you’re a cardholder. Featured image courtesy of Hilton at Resorts World Bimini.